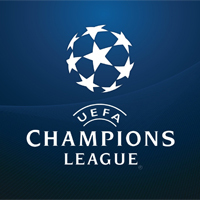 UEFA Champions League 2015-16 match predictions and betting tips. After leaving Bayern Munich behind in the previous stage of the tournament, will Atlético Madrid be able to defeat their city neighbours and rivals of Real Madrid and lift the UEFA Champions League trophy next Saturday? After last week’s narrow win at Camp Nou, will Barcelona be able to hold their advantage when they visit Vicente Calderón next Wednesday? After last week’s defeat at Germany, will Real Madrid be able to bounce back and claw a place in the next round of the tournament when they take on Wolfsburg next Tuesday? After their superb win at Camp Nou last Saturday, will Real Madrid be able to extended their recent winning streak when they visit Wolfsburg next time out? After last Saturday’s disappointing defeat with Real Madrid at Camp Nou, will Barcelona be able to bounce back and return to wins when they on take on Atlético Madrid for the UEFA Champions League Quarter-finals next time out? After last weekend’s smashing win over Getafe at Camp Nou, will Barcelona be able to extend their extraordinary winning streak when host Arsenal next time out? After last weekend’s solid win over Deportivo de La Coruña, will Atlético Madrid be able to defeat PSV at Vicente Calderón and walk through to the next round of the UEFA Champions League? After last weekend’s solid win over Sporting CP at the Lisbon derby, will SL Benfica be able to cause FC Zenit a major upset when they meet at Saint Petersburg next Wednesday? After last weekend’s goal galore at Santiago Bernabéu against Celta de Vigo, will Real Madrid be able to extend their momentum when they take on AS Roma next time out? After three consecutive defeats, will Manchester City be able to return to winning ways when they visit Kiev next Wednesday night?